Hi everyone! If you remember last month, one of my goals was to cut down my grocery bill. I ended up crushing my goal of spending less than $200 (shopping for two people), and cut my bill by over half! Today I wanted to share some tips and tricks that helped me save so much money, along with some easy recipes that I used and some resources. I hope you find this helpful, and be sure to share your tips in the comments! Every week, I get emails and snail mail with all of the specials at local grocery stores. For some reason, I always ignored these in the past. Huge mistake! Now, I use these ads as a basis for my meal planning. As soon as they come in, I'll go through and see what the local deals are for the week. Then, I'll figure out what I can make using what I have on hand and what's on sale. Not only does this help me try out new products, but it also saves me a ton of money! Once you figure out what products you want to use, it's time to figure out how to use them. Enter- Supercook! This website allows you to plug in ingredients that you have, along with any dietary restrictions, cuisine, and type of meal, and gives you tons of recipes. It's pretty magical! Along with looking for weekly specials, I also look for coupons and rebates on the products that I'm buying. Sometimes I'll get lucky and double up on sale + coupon + rebate. Although going through coupons can be time consuming, I think it's worth it. I usually set aside time on Saturday morning while I'm drinking my coffee to meal plan and clip coupons. Put on an episode of The Bachelorette and it's almost enjoyable! I talk a lot about Ibotta, but it's seriously amazing! There are so many different rebates on the site for things that I always buy (including tons of produce), so you're earning money without even thinking about it. I've only been using it for a few months and I've earned nearly $100! That's pretty amazing to me. If you use my code to sign up, you can get $10! Once I create my list and get my coupons, it's time to head to the store! During this month, I made one small change to my behavior- I stuck to my list! I usually will get tempted by new products or the frozen dessert aisle, and pick up a ton of extra stuff that ends up going unused. When I actually stick to what I planned, I don't waste food, and save money by only getting what I need! I absolutely love this app! I write down all of the ingredients that I need to pick up, and the app categorizes them so that they're grouped together and easy to find in the store. You can also make multiple lists if you shop at more than one store (see my tip about that below!) I used to bring a pad of paper to the store (and would always forget a pen to cross items off) but now I'll never go back! It came to no surprise to me that the most expensive part of my grocery bill each week was meat. I try to get high-quality, ethically sourced proteins, and that can really add up! During my challenge, I tried to cut as much meat from my diet as possible, and fill up my cart with vegetables and other forms of protein. 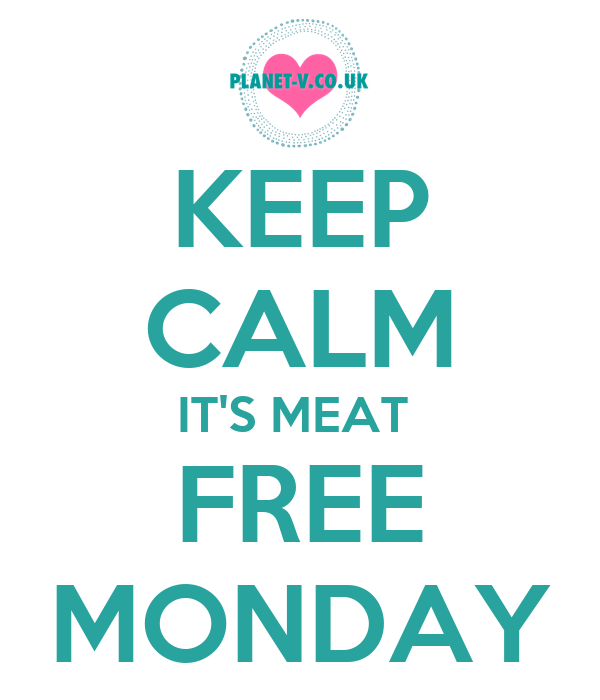 If you're looking to cut down your grocery bill as well, I would recommend trying to eat meat-free for a week, or even just a meal. You will not only try out some new and tasty recipes, but will also save a ton of money! I absolutely love checking out the Budget Bytes blog for cheap and delicious recipes! Even though they aren't specifically vegetarian meals, there are so many different types of food and all are on a budget. One of my favorite recipes is the oatmeal cookie baked oatmeal. It's cheap and easy to make, and tastes so good! I've always shopped at the same store my whole life. It was mostly out of habit and laziness, but during my monthly challenge I decided to try out new stores. A lot of people suggested trying out Aldi's, and I ended up finding a lot of products for much cheaper than I was used to buying them! While I wasn't able to find every product that I needed at Aldi's, it helped me save a ton of money. When I check weekly specials, I compare prices at three nearby stores. I also make three different lists so that I know exactly what product to get at each store. It might be excessive to do this each week, but try checking out different stores to see which has the lowest prices for products you regularly buy! What are some of your tips for saving money grocery shopping? I am so big on saving money at the grocery store! I have always loved the store circulars for the specials and shop around for the deals to save money. I have gotten a little lazy with it though and end up at trader joe's for most of my stuff which is good and bad - their prices are very good but no coupons or sales! I have to get back to really seeking out the deals and sticking to my list! We just switched to using cash for our weekly grocery purchases to help stick to the set budget, I'm hoping it helps reduce the impulse purchases and forces us to stick to our list. Thanks for the good tips! You know I'm an Aldi shopper fo lyfe. The big one for me is sticking to my list. I find it easier if every once & a while I put a "splurge" on my list. It keeps me from going off the rails & buying ALL THE THINGS. Great tips! I spend about $120/week for 2 people on groceries which I think is very reasonable. I am very good about sticking to my list so I think that really helps stay within the price range I want to spend. I'd say that's about what we usually spend as well! Definitely fluctuates though. I feel like my life is so chaotic that when it comes to things like grocery shopping, I'm more "RE"active than proactive. I find myself at the local grocery store about 4 times a week picking up last minute things for dinner. The one thing that I DO do (do do? ha ha) is I use up the stuff in the back of the freezer and fridge, even if it means we eat a bunch of random stuff. I take pride in not throwing things out or letting things go bad. I used to be like that all the time too. Drove me nuts which is why I (over)plan now! I'm trying to get better about not letting stuff go bad...not so great at that right now. A few of these apps sound like they could be life changing! I'm the worst at making a list and then forgetting it when I actually go to the store. I used to always just look through our local ads for the coupons and not pay attention to what was on sale, but started doing that and basing my list around that-- which seems like the most obvious thing, but it definitely helps. This post is sooo useful, Gretchen! :) I'm so impressed that you got your groceries down to $200/mo. We spend about 400-500/mo for 2 people. It could be worse, I guess! We always have a list and a plan, and we rarely have any food waste. So, we've got that part down at least. My honey is just SO HUNGRY, haha. Thanks for the new ideas! That's definitely not bad! I guess I'm lucky because Dan doesn't eat a lot, and he always liked eating the same meals. I need variety! These are such good tips! I'm downloading the Ibotta app now:) Shopping at Aldi's is my favorite and I love how much cheaper things are! Even though it's sometimes inconvenient to go to more than 1 store it really does pay off I think! I love seeing how people save money on groceries. It is seriously one of our biggest expenses. I use Ibotta, Cartwheel and clip coupons. I will have to look at Buy Me a Pie and Supercook. Cartwheel is so great too!! Also love livingrichwithcoupons.com - they do the matchups for you! Ohh I'll have to check that out :) Thanks! I LOVE Ibotta - my problem comes when I get home and forget to put in my receipt, bahahaha. But I need to check out that grocery list app! Let's just say shopping with 2 kids and a pen and paper list is humorous.. Same here! Luckily the place that I use it the most is connected to a card so it submits everything automatically! What great tips! I could stand to work on this-- I spend way too much at the grocery store! I used Ibotta a couple of years ago, before it got big and ended up never using it again. You have convinced me to try it! this is awesome! i really need to work on my grocery spending. i have ibotta but haven't used it much, don't really know how. 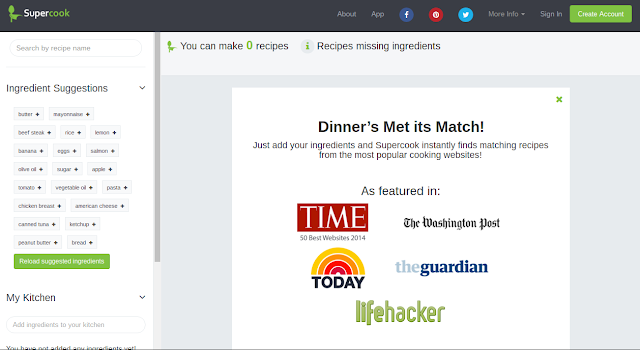 Supercook sounds interesting, and i LOVE budget bytes. my favourite meal of hers is her black bean burgers. so good. $200/month for two people? That's impressive. I do many of the things that you mention, but I still spend around $600 a month. I love Budget Bytes. I've gotten a lot of cooking inspiration from there. I had to come back to this post and thank you for talking about Ibotta. I had never heard of it before but I used your code to try it out and am already getting money back. I think it's really going to be useful for us! Thanks for sharing it and giving out the code!! We have Aldi here too and I love it! We save so much by shopping there. I also keep an eye out for their special buys in case there's something we need, and plan meals around their 6 special fruit and veg each week. 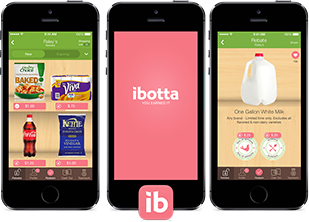 Sadly we don't really have coupons here and Ibotta only works in the US :( That app looks pretty cool though! Pinning this for later! I should get on top of my grocery savings, this is a great idea. Great tips to start!! I like the app and had never heard of this way to shop online grocery. 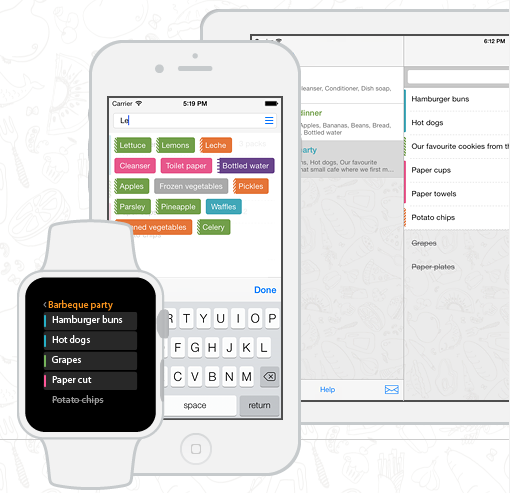 Will use this app when i make a list and plan to shop groceries.